The 2013 single speed cyclocross world cup championship (SSCXWC13) is held at the Belmont Plateau in West Philadelphia. As part of the course riders had to climb a steep gravel path. Alongside this climb spectators cheered and pushed, sometimes even pulled the contesters uphill. 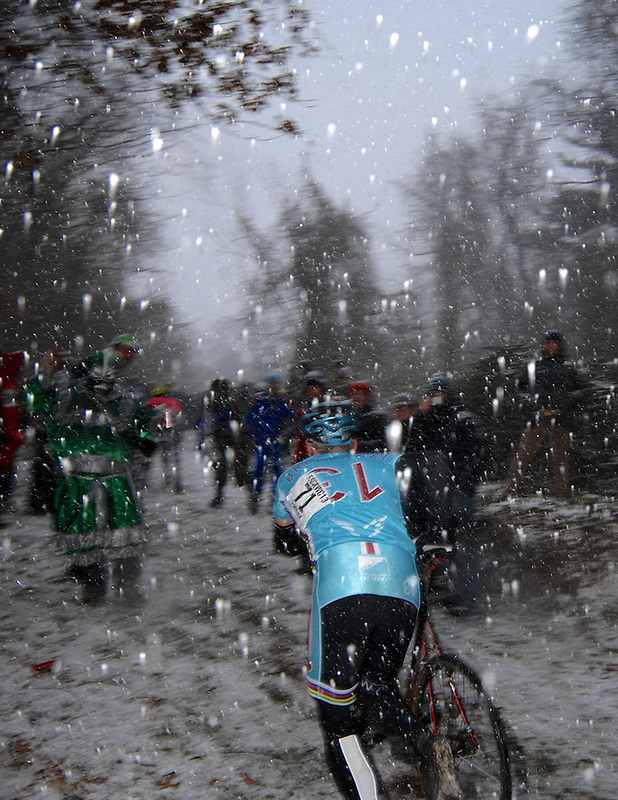 The first snow of the season left up to ten inches on the course for the riders and spectators to battle. 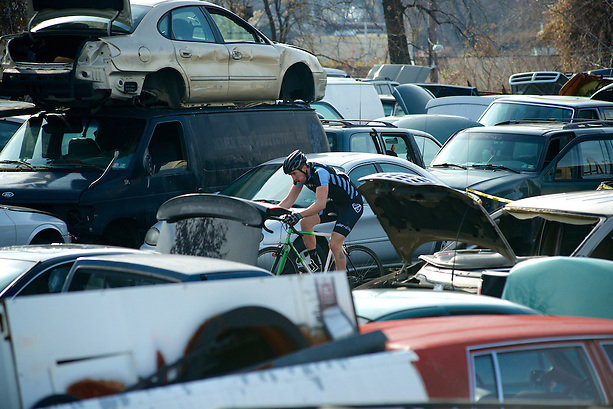 Aurélien Passeron of France decompresses after finishing fourth in the 2013 Parx Casino Philly Cycling Classic.